This is typical of how dialysis patient advocacy groups operate in the US. (Don’t bite the hands that feeds you, despite the fact that they are harming the patients for whom you are „advocates“.) There is no (for-profit) industry money for those groups that attack the junk-credit-rating business model which, compared to the non-profit business model, continues to cause the deaths of thousands of dialysis patients unnecessarily. A few ago on a conference call, I heard Doug Johnson, the chief medical officer of non-profit DCI, state that his organization was not greatly motivated by the financial incentives of the QIP program. On the same call, a top nephrologist for one of the top for-profit dialysis providers said his organization was ‘jumping through all sorts of hoops’ for these financial incentives. It seems these financial incentives make little difference to those already doing the right things for patients. These financial incentives also seem to motivate the for-profit companies to manipulate or massage QIP data, or even report fraudulent QIP data, resulting in a lack of congruence between USRDS mortality/hospitalization results and the CMS star rating system results. This could explain why DaVita fought the implementation of the CMS star rating system, but then embraced it when the initial star ratings surprisingly showed that DaVita had the best results (while DCI has had the best mortality/hospitalization data for 14 consecutive years). This throws into question the integrity of all U.S. dialysis data collection systems. 53-minute YouTube video from September 2016 KidneyWorks meeting. Dr. Doug Johnson, chief medical officer (CMO) of DCI, speaks between 24:10 and 35:40. Can you imagine the CMO of Fresenius or DaVita making such a statement? DCI has also had the best mortality and hospitalization data compared to Fresenius and DaVita for the last 14 years. DCI does the right things for patients because they do not have perverse financial incentives. The only way to make major changes in Fresenius’ and DaVita’s operations is to change their financial incentives. How much longer will U.S. nephrologists continue to debilitate dialysis patients with short, brutish, minimal treatments, as well as ignore the iatrogenic effect that these treatments have on the social needs of their patients? I believe the biggest point that John Oliver missed is how complicit U.S. nephrologists have been with junk-credit-rating companies in providing embarrassingly poor dialysis care. Hundreds of now prominent U.S. nephrologists have become multimillionaires from these business practices. Thousands of younger nephrologists are now financially dependent on this business model. Their incomes, their medical school loan payments, their children’s college funds, and their own retirement plans depend upon continuing these medically- and morally-poor business practices. Will U.S. nephrology continue ever be capable of any kind of effective self-examination? Will they listen to financially independent patient groups that don’t fawn over them for their supposed patient-centered care? They say history is written by the winners. U.S. dialysis patients have not been the winners. Both DaVita and Fresenius Medical Care have risen to the top in the U.S. through junk-bond-financed acquisitions of dialysis centers. This has put hundreds of millions of dollars into the pockets of leading U.S. nephrologists who, as partners and/or employees of these corporations, no longer effectively advocate for patients. In junk-bond corporations, physicians focus on numbers and metrics, not patients. This story (link) is as much about the moral failure of corporate leadership as it is about the moral failure of many U.S. nephrologists and the enabling and facilitating positions of their professional organizations. They continue to shepherd over 85% of their patients into dialysis treatment regimens they would never accept for themselves or their own family members. The U.S. dialysis care industry doesn’t need far better medical leadership, it needs far better moral leadership. If this (link) isn’t a wake-up call for the American Society of Nephrology and the Renal Physicians Association to change, then they should forever be seen as organizations that foster physician and corporate greed. It shouldn’t be the case that John Oliver is a better patient advocate than the ASN and RPA. President Donald Trump announced on May 4 that he will nominate a former DaVita executive as Assistant Secretary of Health and Human Services for Legislation. Matthew Bassett worked for DaVita from 2006 to 2011, and left the company as Vice President of State Public Policy. Fresenius Medical Care’s credit rating has fluctuated between investment grade and junk grade over the last decade, depending on the rating agency (see 2015 article). DaVita’s credit rating has always been junk grade. The large for-profit dialysis corporations have borrowed heavily to purchase thousands of dialysis clinics from U.S. nephrologists, making hundreds of leading U.S. nephrologists multi-millionaires. The chief medical officers of FMC and DaVita then have to practice medical with the pressure of billions of dollars of high-interest-rate, low-grade corporate debt on their shoulders. Servicing this debt and maintaining their stock price appears to lead to decisions that do not serve the patients’ best interests. For 14 years consecutive years, DCI, a non-profit, has had the best mortality and hospitalization rates in the industry. Is there any better example of how poorly designed financial incentives in for-profit medicine can harm patients — than U.S. dialysis care? If U.S. dialysis care is ever going to be „great again,“ it doesn’t need far better medical leadership, it needs far better moral leadership. U.S. dialysis care should be the poster child of „conflicts of interest“ in U.S. medical care. The combination of physician ownership of dialysis facilities and corporate junk-bond financing of dialysis facility acquisitions has led to a decades-long failure of patient advocacy responsibilities by U.S. nephrology. The result has been ‘junk-bond nephrology.’ Most leading practitioners have greatly rewarded themselves financially while this field of medicine has lagged far behind others in improving patient outcomes and technology. “Dialysis is a promise unfulfilled,” said Jonathan Himmelfarb, director of the Kidney Research Institute. Gary Peterson: Are there any better descriptions of the realities of for-profit U.S. dialysis care than the two below quotations? Until we provide significant financial incentives to motivate nephrologists to deliver well, high-functioning patients, Kt/V (URR) and stagnant technology will remain the standards of excellence in U.S. dialysis care. Why isn’t effective health coaching a standard of U.S. dialysis care? Blame the power of poorly-designed financial incentives, especially the perverse incentives that have made CEOs and many U.S. nephrologists multi-millionaires. For the for-profit dialysis centers and nephrologists, their financial goals and incentives lead them to perform as little uncompensated care as possible for their patients. Most patients are steered into minimal, in-center dialysis regimens that virtually no dialysis professionals would choose for themselves. The largest non-profit dialysis company, DCI, not only has the best mortality and hospitalizations data, but they also steer as many patients as possible to transplantation before they need dialysis. It would seem that many dialysis patients could benefit from this „coaching at their fingertips,“ as long as it is not provided by for-profit companies under today’s perverse financial incentives. There is no better example of excellence in dialysis care than an employed dialysis patient. It has been a tragedy that the leaders of the dialysis patient organizations have not made employment and rehabilitation leading priorities, as these goals can drive so many improvements in care processes, technology, and patient engagement. Instead, patients have endured decades of stagnancy and being ignored. Enduring awful treatment regimens, which U.S. nephrologists would never accept for themselves, has become the „job“ for too many patients. U.S. dialysis care, which is effectively controlled by junk-bond-financed, for-profit corporations, is unnecessarily harming and killing thousands of dialysis patients each year. U.S. nephrologists would never accept for themselves the treatment regimens that the vast majority of their patients receive. Until U.S. nephrologists, the American Society of Nephrology, and the Renal Physicians Association break free from the financial ties and medical practice controls of these corporations, U.S. dialysis care will continue to be the prime example of medical materialism gone wrong… and the shame of U.S. medicine. Physicians cannot serve two masters. How many more millions of dollars and precious time must we waste trying to create a quality measurement system that uses biochemical markers that do not matter to patients — or uses measures that can be „manufactured“ through manipulation and/or cheating? The best example of excellence in dialysis care is a long-time employed ESRD patient. Unfortunately, CMS, U.S. nephrologists, and the large for-profit dialysis providers have ignored this outcome for decades. They have instead focused on biochemical markers, which has led to few improvements in the patients’ quality of life or technological innovations over the last 40 years. While DaVita and Fresenius have recently announced programs to support employment, there is little to them beyond „turfing“ patients to government agencies that have no dialysis expertise. It seems to be a new version of the intern’s way to avoid addressing patients’ needs. Remember „buff and turf“ from The House of God? What if Fresenius and DaVita employed dialysis patients and also paid their health insurance premiums? Extending the Medicare Secondary Payer (MSP) period for employed patients would then drive tremendous changes in this field of for-profit medicine. It is time to admit that U.S. dialysis care has failed patients and instead functions primarily to serve the financial interests of for-profit corporations and the many prominent U.S. nephrologists who find no fault with the current economic incentives. The Hippocratic Oath vs. medical materialism. The U.S. experiment in balancing medical decisions and profit motives does have its most spectacular failures. It appears that our society’s most vulnerable patients (in nursing homes and dialysis clinics) are also the most susceptible to medical decisions that favor corporate owners over patient well-being. The weakest get used. In U.S. dialysis care, the Peer Group and the American Society of Nephrology continue to be blind to the impact of financial incentives/structures on U.S. dialysis care. Has any other field of medicine made so little progress in the last 40 years? Does any other field of medicine have so many physicians admitting that they would choose better treatment regimens for themselves than they provide for vast majority of their patients? Why has the largest non-profit dialysis provider (DCI) delivered better mortality and hospitalization outcomes than the largest for-profit, junk-bond-financed, dialysis providers for 13 years? Most U.S. nephrologists advocate for whom? Our system is out of balance and, in many ways, self-defeating. Denial of the harmful effects of profit motives — and the legal implications of acknowledging the thousands of avoidable patient deaths — prevents any meaningful changes from occurring. As a result, most dialysis patients will continue to be shepherded into more harmful, for-profit, treatment regimens. Other than „assisting“ a patient in choosing a dialysis modality (which may or may not be available locally), there seems to be little being done for patients regarding employment and rehabilitation. Without financial incentives for these corporations, only the patients with a strong will to overcome enormous obstacles — essentially on their own — will thrive. Almost all other patients will default to short-time, in-center, daytime treatments, and enslavement to a life called dialysis. This situation will only truly change when these profit-focused companies can tell working-age patients, „It is financially advantageous for our company that you remain employed and/or get rehabilitated.“ Physicians and patients must fight for the holistic care that was the norm in dialysis care 45 years ago. Fresenius and DaVita should employ dialysis patients. Then they would gain the expertise needed to truly help working-age patients. More evidence suggesting that CMS and U.S. nephrologists have been harming dialysis patients for the last 40 years by failing to incorporate the patients’ employment and rehabilitation goals into the system of care. This awful piece continues to overlook the failures and shortcomings of the stagnant and harmful model of U.S. dialysis care. This model functions primarily to maximize the benefits for junk-bond financed dialysis corporations which, in turn, fill the political campaign coffers of U.S. congresspeople. Nearly all U.S. nephrologists have failed to target – or deliver – thriving dialysis patients for the last forty years. Considering the enormous, continuous, and rapid advancements in renal transplantation, it is time for the U.S. government to abandon dialysis care as a long-term treatment for most kidney failure patients. U.S. dialysis care is effectively controlled by junk-bond-financed corporations which have little interest in greatly improving either their technology or the quality of their patients’ lives. While this junk-bond approach to medicine has richly rewarded many prominent U.S. nephrologists, it is hopelessly stagnant, is blind to the effects of its perverse financial incentives, and has failed patients and taxpayers for decades. All avenues that increase kidney transplantation rates – including payments to donors – need to be explored. Only financial incentives and for-profit-corporation control of government policymaking explains why the US trails other first-world in countries in dialysis care. US nephrologists continue to believe (and deny) that they can serve two masters without causing patient harm. Leading nephrologists in junk-bond-financed corporations ARE the biggest problem in US dialysis care. Considering the recent breakthroughs in transplantation and the long-term stagnation seen in for-profit US dialysis care, I now believe the time for paying kidney donors has come. It is time to rehabilitate and return as many of kidney disease patients as possible to living as normal lives as possible. US dialysis care nephrologists and CMS have failed to carry out the mission they were given by Congress over 40 years ago. Long-term dialysis care has failed over 90% of patients. Continuing to keep patients on dialysis unnecessarily is uneconomical, is awful medicine, and continues to limit the meaning and purpose of far too many patients’ lives to being revenue streams for paying off junk bonds. The Peer group appears to continue to be blind to the impact of financial incentives/structures on U.S. dialysis care. Can they not see the differences in mortality/hospitalization rates that have existed for over 15 years between the non-profit DCI and the for-profit, junk-bond-financed DaVita/FMC? Unfortunately, all consensus statements by the Peer group must have the buy-ins of the chief medical officers of the two biggest for-profit, junk-bond-financed corporations. When will U.S. nephrology acknowledge the obvious conflicts of interest and finally cut these ties? The Peer group also continues to fail to embrace the more holistic approach to dialysis care which was the norm fifty years ago. At that time, patients were part of the „team“ and the model of care included the psychosocial, technological, infrastructure, employment, rehabilitation, and quality-of-life needs of the patients. „…tailoring dialysis prescriptions and schedules to current physiologic needs;“ (but apparently not for psychosocial needs). These junk-bond-financed medical corporations need to extract maximum profits from existing infrastructure and capital investments. Their corporate officers have little interest in major breakthroughs that would destroy their business model. These corporate officers continue to fail chronic kidney disease patients and the U.S. taxpayers by failing to target patient rehabilitation and employment. Only a small percentage of patients being treated by these junk-bond corporations are able to avoid enslavement to a life called dialysis. On top of all this, according to more than a decade of USRDS data, these junk-bond corporations provide worse outcomes for their patients than the largest non-profit dialysis care corporation. Until U.S. nephrologists and the American Society of Nephrology extricate themselves from the profit schemes of junk-bond medical corporations and instead become true patient advocates, U.S. dialysis patient care will continue to trail other first-world countries not only in mortality, but also in patients’ quality of life. Dialysis patients need to wake up to the fact that junk-bond medical corporations have failed them… and will continue to fail them. If CMS and U.S. nephrologists had targeted improving dialysis patient employment rates from the beginning, the ESCO concept would have been integrated into the system of care for decades. What other target/incentive does this? It’s not just about getting everyone to home dialysis therapies. I believe we need to differentiate between non-profit dialysis centers and the for-profit, junk-credit-rating-corporation dialysis centers. In most for-profit centers, patients must fit the corporation’s system which targets „numbers“ that must be acheived — regardless of patients’ needs. Isn’t it a question of the values, morals and ethics of the nephrologist? Why has DCI (large non-profit dialysis provider) had better outcomes than Fresenius or DaVita (junk-credit-rating for-profit providers) for more than 15 years? In junk-credit-rating corporations, business executives routinely manipulate financial reports to report optimal results. Failing to ‘hit the numbers’ often results in an even worse credit-rating, increased costs of attaining capital, and a possible stock price collapse. In order for a junk-credit-rating corporation to succeed in healthcare, its financial successes cannot be seen as the result of providing lower quality care or worse patient outcomes. Unfortunately, the mentality of junk-credit-rating business executives has seeped into patient-related data reporting. In recent years, widespread cheating has been reported in the dialysis industry. This insidious need to report optimal results ultimately leads to a breakdown in the purpose and sanctity of physician-patient relationships. In junk-credit-rating healthcare corporations, decisions regarding patient care routinely default to the selection that is best for the corporation’s finances. These selections can only be overturned by defiant personal stances or irrefutable scientific evidence. Unfortunately, these instances rarely occur. Junk-credit-rating corporations richly reward executives at the top and — to a less degree — the nephrologists, managers, and employees who are willing to put corporate financial needs first. As a result, far too many patients end up in a junk-bond dialysis hell which no nephrology professional would ever choose for themselves or their family members. Those who choose not to profit from kidney patients’ illnesses provide better care. This junk-bond-healthcare reality has been staring us in the face for over a decade. DCI, the largest non-profit dialysis provider, has long had the best mortality and hospitalization data in the industry. While DaVita may claim a new rating system shows it provides the best care, the most recent USRDS data shows that DaVita provides the worst outcomes for its patients (see Tables 10.2 and 10.4 in Chapter 10 of the 2015 USRDS report). DaVita would do much better by its patients to turn its DaVita Patient-Focused Quality Pyramid upside down and instead began its patient interactions by defining the values and activities which are most important to each individual patient. Fresenius Medical Care (FMC) was able to push back to show that GranuFlo® itself did not cause cardiac arrests. What they could not dispute, however, is that GranuFlo product use led to significant buffer (bicarbonate/acetate) dosing errors. These were largely due to problems with GranuFlo/Acetate display/design errors on the Fresenius Model 2008 dialysis machines. Since close to 90% of dialysis machines in the U.S. were Model 2008 machines, this required FMC to fix over 130,000 dialysis machines over several years. These problems were finally addressed in these May 2015 FDA recalls for GranuFlo®/Acetate display errors on Model 2008 machines. It was poor product stewardship on FMC’s part from day one. With GranuFlo, there were a multitude of ways that acetate and bicarb levels could be confused on machines, computer data entry systems, Dr.’s order sheets, treatment forms, etc. When GranuFlo first came out, no effort was made to educate dialysis care providers and clinicians on all the nuances for the correct use of GranuFlo. Today, far more policies and procedures are in place throughout the industry regarding GranuFlo’s use. When problems were first noticed, most nephrologists did not understand the basics, let alone the complexities, of the acetate/bicarb/GranuFlo issues. This allowed FMC to legally blame nephrologists and clinicians for the dosing problem, but from a long-term sales and business perspective, it was a self-defeating approach. Rather than winning more Pyrrhic victories in court, it was better to settle. I believe this case shows, along with ESA usage, that the medical professionals who are promoted to the top spots in for-profit dialysis corporations are individuals who tend to put corporate interests before patients’ interests. I also believe this case helps demonstrate that the junk-bond financing of for-profit dialysis care in the U.S. (all medical staff must hit their numbers!) has rotted our system of care to its core. Why has DCI, a non-profit, had the best mortality and hospitalization data for over a decade? Patients in thirteen clinics will move from non-profit dialysis care to junk-credit-rating, for-profit-corporation dialysis care. Which large dialysis provider has the best mortality and hospitalization data? See Tables 10.2 and 10.4 in Chapter 10 of the 2015 USRDS report. Why would anyone choose worse mortality and hospitalization outcomes for their patients? Ben Lipps and Fresenius Medical Care have shaped the dialysis industry for the last two decades. We have not seen the improvements in patient survival rates that are routine in other fields of medicine. There are virtually no employment or rehabilitation programs for dialysis patients. This system of care debilitates and disables hundreds of thousands patients unnecessarily. It is a dysfunctional system of care that is failing patients and taxpayers. It is time for this entire field of medicine to finally return to providing truly patient-centered care. Here is a copy of the 2-page (pdf) FMC external memo dated March 29, 2012. If you are a medical professional and can document that FMC has not responded to your request for the internal FMC Nov. 4, 2011 memo for over one business day, send an e-mail to obtain a copy. For a possible new patient-centered approach for dialysis care, see these working drafts: Media Kit and Goals (pdf files). In 1972, Congress added a provision to Medicare (1) to pay for life-saving dialysis treatments for any U.S. citizen of any age who was suffering from kidney failure. Forty year later, dialysis has become a $20 billion a year industry that will treat over 400,000 Americans this year. Over 5700 dialysis centers across the country now routinely offer treatments that have prolonged the lives of a small percentage of patients for decades. Unlike every other field of medicine, dialysis patients have seen little improvement in their mortality rates over the last 25 years. Standard dialysis care has become minimal, debilitating, and offers little psychosocial support to vulnerable and overwhelmed patients. Few advances in technology have been developed that improves patients’ quality-of-life and allows them to lead normal lives. A far smaller percentage of patients dialyze at home today than in the 1960s. A far smaller percentage of working-age patients are employed today than in the early 1970s. It is estimated only 10% of working-age patients remain employed after three years on dialysis. Two dominating corporations, which care for over 70% of U.S. dialysis patients, have no programs for patient employment or rehabilitation. 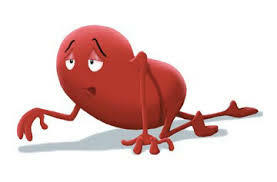 “Renal debilitation” has become the norm because of low expectations. Patients are increasingly viewed as short-term corporate revenue streams that only provide profits during their first three years on dialysis. The median survival time for U.S. dialysis patients is 36-38 months, not much longer than when the Medicare Secondary Payer period expires. Taxpayers pay for additional federal and state social services that must be provided due to the unnecessary debilitation of hundreds of thousands of U.S citizens. Almost no data has been collected on patient experiences, positive or negative, during the last 40 years. To deflect criticism, patients are routinely characterized as unmotivated, non-compliant, medically disabled, unemployable, and elderly. Patients seldom complain and those who do may find themselves dialyzing in hospital emergency departments on a non-routine basis which places their lives at much greater risk. This system, best described as a medical-industrial complex, is made up of an intertwining web of entities and influences from the corporate, financial, government, medical, political, and academic worlds. Unfortunately, this system no longer serves patients’ best interests and insufficient motivations exist for significant change to occur. Realizing the futility of trying to change this system from within, patient advocates and activists are now working with the media to educate the taxpaying public and Congress about the failures of this federally-funded program. This basic philosophy of care will improve multiple quality-of-life outcomes for patients, drive the development of smaller and easier-to-use technology, promote home and self-care dialysis, greatly increase patient participation in the system, and change the financial incentives for corporations. Publicizing patient employment data would provide patients with a tremendous tool in identifying dialysis providers that provide the best overall dialysis care. Considering the hundreds of billions of taxpayer dollars that will be spent on dialysis care this decade, we strongly urge Congress to hold hearings to correct this federal program’s failures, problems, purpose, and direction. We believe Congress should insist on a coordinated, five-year effort from corporations, medical professionals, and government agencies to greatly increase patient employment. After forty years of ever-worsening missteps, this federal program must return to serving patients and taxpayers and a truly patient-centered model of care. Dysfunctional government / corporate system of care with no effective sense of direction or purpose. The vast majority of patients endure a very low quality of life standard that is non-improving. Little or no patient feedback built into system of care. Little improvement in mortality in the last 25 years. By focusing on biochemical markers and statistics, nephrology is “stuck” and cannot adopt the therapies that physicians/professionals would choose for themselves. The original intent of our national taxpayer-funded dialysis program, to support working patients, has been forgotten and ignored. Employment rates among working-age patients are now lower than 40 years ago. Fastest growing segment of incoming dialysis patients are now working-age patients. Despite having tens of millions of dollars of databases on dialysis patients, patient-specific employment data is not tracked anywhere: USRDS, DOPPS, CMS, Forum of ESRD Networks, LDOs. US taxpayers now pay over $20 billion a year for a major-organ replacement industry that has no holistic model of care, no well-patient model, no rehabilitation, few psychosocial services, and no incentives to keep patients working. This system of care also adds tens of thousands of people to welfare rolls yearly. „If the treatment of chronic uremia cannot fully rehabilitate the patient, the treatment is inadequate.“ – Dr. Belding Scribner, pioneer of dialysis therapy. Programs to sustain or increase patient employment and/or rehabilitation DO NOT EXIST. Few facilities offer shifts starting after 5 pm. The system of care is shaped to serve corporations’ needs and for the convenience and ease of nephrologists and dialysis staff, not working patients. Original social contract was not for taxpayers to pay for dialysis treatments AND disability payments. Depression is common and widespread. When patients self-report depression, they have a 48% higher risk of death. Disability and debilitation have been reported, but are not widely acknowledged in the renal community as causes of depression. Virtually no medical professionals or corporate officers would accept the treatment modality that 90% of their patients receive. In order to stay healthy, they know they must dialyze at home. Standard, in-center hemodialysis treatments do not provide enough therapy. Government funded ESRD Networks, which are supposed to direct quality improvement, are not effectively addressing the issues of employment, rehabilitation or quality-of-life (QOL) nationwide. Dialysis care is dominated by two corporations that have no professional expertise in patient employment and rehabilitation. Free market “choices” do not exist for most dialysis patients. Patients are easily intimidated and threatened. Due to lack of choice, patients must often dialyze in the same corporation’s facilities that they criticize. Little technological advancement has occurred in the last 20 years. Poor patient fluid management has led to cardiovascular disease, the leading cause of death in dialysis patients. 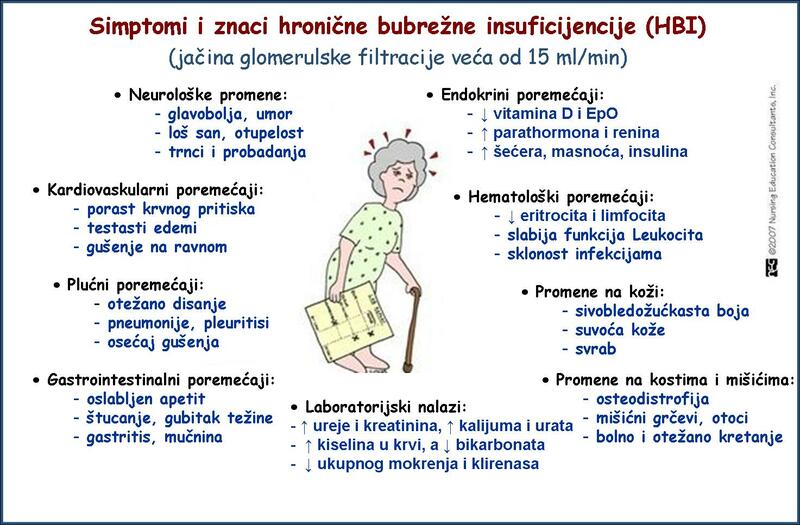 The traditional hemodialysis schedule is a major source of problem (3-times a week with 2-day weekends off dialysis). • Hundreds of thousands of employed patients on renal replacement therapy who remain working and paying taxes after their diagnosis. Many patients are integrated into the system of care and employed by large dialysis providers and renal organizations. Large dialysis provider corporations leading the movement for dialysis patient employment. • A system that considers all societal costs of renal replacement. Incentivizes long-term patient employment and rehabilitation. • High health-related quality of life for patients, near normal diets, highly individualized approaches to care, minimal dialysis recovery times. 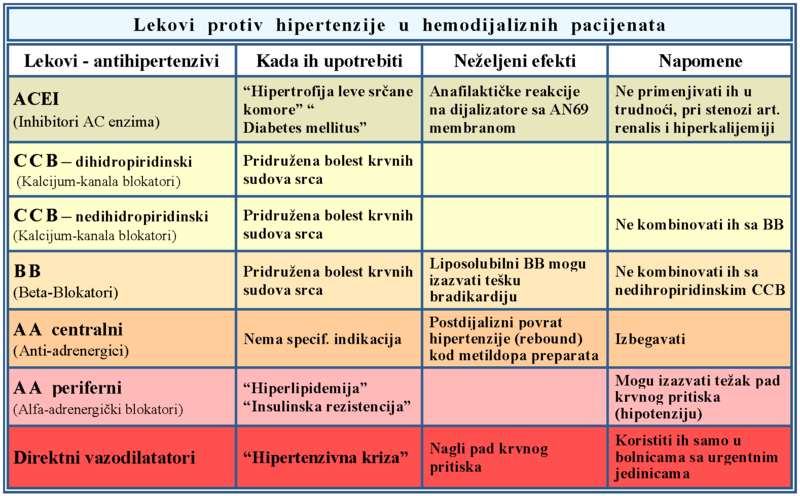 Patient choose optimal dialysis schedule to fit and maximize their lives. System of care shaped to meet the individualized needs of patients. • New medical specialty (renal replacement therapy specialist or renal rehabilitation counselor) created that focuses on optimizing employment/rehabilitation with major organ replacement. This field has unique expertise in educating and motivating patients. • Small, portable, convenient, easy-to-use dialysis machines are the norm. There is a wide diversity of equipment choices. • Many people are able to combine hemodialysis with restorative sleep. Nocturnal hemodialysis is a widely used treatment modality. • Dialysis schedules and technology effectively address patient fluid management (no 2-day weekend gap with every-other-day dialysis). 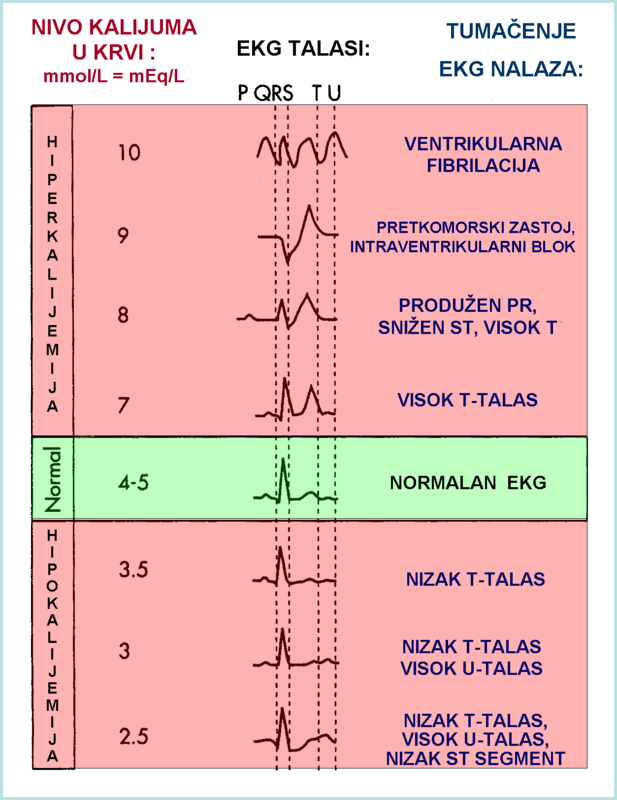 Excellent left ventricle health and few hospitalizations for fluid overload/heart failure. • Diversity of whole-patient and well-patient approaches to renal replacement therapy FOR ALL AGES. • High quality patient feedback integrated into the formation of federal legislation, systems of care, and technology design. Government-funded Network 19 (not dependent on corporations) provides independent patient perspective. In 1962, Northwest Kidney Centers in Seattle founded. Throughout the decade, most patients were employed and many dialyzed at home. In 1972, federal government begins reimbursement for dialysis treatments through Medicare. Hospitals and clinics submit bills for treatment expenses. Nephrologists receive fee, monthly capitated payment (MCP), for overseeing patients’ care. Government initially estimates treatment costs at $140. For next 30 years, many large, medium, and small dialysis providers come into existence, most of which are for-profit. Many physicians also build and own their own dialysis facilities. Gradually over the next four decades, all U.S. dialysis providers replace most RNs with technicians and increase patient/staff ratios. Dialysis treatments: OBRA 81 established a Medicare cost savings mechanism called the Medicare Secondary Payer (MSP) period. Originally it was a 12-month period when Medicare coverage would be secondary to a patient or spouse’s employer group insurance for any ESRD patient who qualified for Medicare due to ESRD only. Simply put, commercial insurance paid for the first 12-months of dialysis treatments for many patients. In 1983, the prospective payment system (PPS – also sometimes called the “composite rate” or the “first bundle”) is instituted by Medicare to control costs. It sets a limit on reimbursement for treatment costs of $128 (Medicare pays 80% of it), which is a bundled payment for treatment labor/supplies and routine labs, but excludes injectable EPO, iron, vitamin D, antibiotics and non-routine labs). For next thirty years, Medicare reimbursement essentially stagnates and dialysis providers begin charging commercial insurance plans higher rates than Medicare during the 18-month MSP period to compensate. In the 1980s and 1990s, the “dialysis adequacy” formula was developed and “quality” dialysis care usually meant reducing the amount of time patients spent connected to the dialysis machines. This approach was embraced by for-profit dialysis providers, as shortening dialysis treatment times reduced their operating costs. Providers were paid the same whether they provided a 2.5-hour treatment or a 6-hour treatment. This practice resulted in higher patient mortality and has been reversing in the last few years. For next thirty years, physicians and small providers sell their dialysis facilities to large and medium-sized dialysis provider corporations at enormous profits. Some physicians and small dialysis corporations sell their operations at a price tag of $40,000-$75,000 or more per patient (per head). EPO/Meds: In 1989, EPO (erythropoietin or later known as an “ESA”) introduced to treat anemia and reduce blood transfusions. 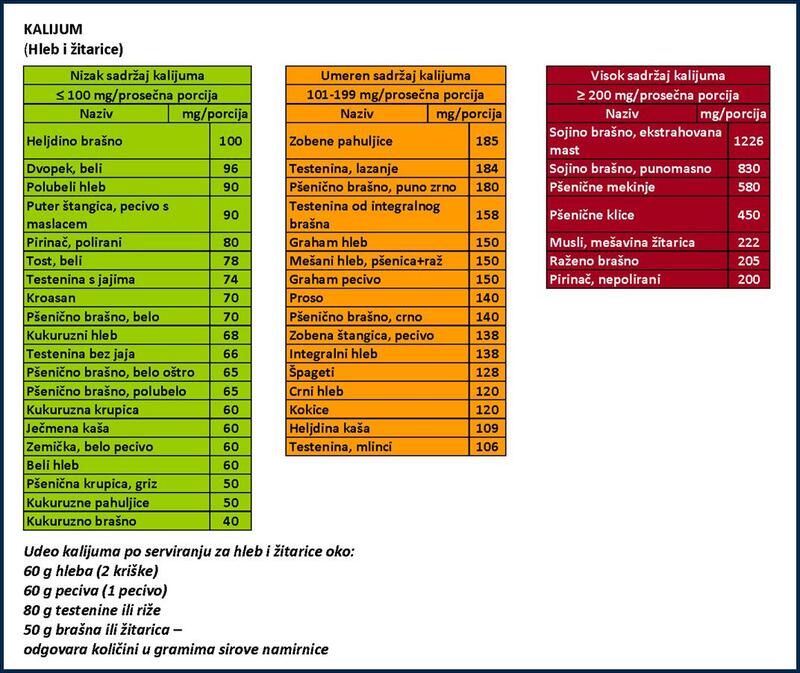 EPO reimbursed at $40/treatment for doses under 10,000 units and $70/treatment for over 10,000 units. Dialysis treatments: Stagnant Medicare reimbursement, but Medicare patients can be profitable with EPO/IV drug revenues. In 1990, OBRA 90 extended the Medicare Secondary Payer period to 18 months (and expanded those affected to patients dually entitled to Medicare due to age or disability as well as ESRD). In 1997, BBA 1997 extended the MSP period to 30 months. MSP-period patients are now routinely used to subsidize Medicare patients. Dialysis providers begin charging commercial insurers an even higher rate than previously charged to those payers, significantly higher than Medicare. Fresenius Medical Care becomes vertically integrated, owning facilities and manufacturing equipment and supplies. Large dialysis-providers begin use junk bonds to finance acquisitions. EPO/Meds: In Dec. 1990, EPO reimbursed at $11 per 1000 units, and then reduced to $10 in 1994. EPO and separately billable drugs becomes profit centers and their use increases throughout decade. Dialysis treatments: Stagnant Medicare reimbursement rates. MSP-period patients increasingly subsidize Medicare patients. Dialysis providers charge commercial insurers 2-10 times Medicare rate. Physician-owned and small dialysis providers increasingly unable to make significant profits and are purchased by medium and large-sized dialysis providers. Large providers now own private laboratories to capture more reimbursement. EPO/Meds: Greater use of EPO and IV drugs in for-profit centers. In 2006, EPO use peaks in U.S. at mean of 7,507 units per treatment, as Medicare costs for EPO exceed $2 billion. In 2006/2007, CHOIR, CREATE, and TREAT studies are published, which result in FDA Alerts. Some dialysis providers establish pharmacies and buy pharmaceutical companies. Chronic kidney disease patients become highly sought after commodities as large dialysis organizations establish brief education programs to market their brand to them. Dialysis treatments: Medicare reimbursement no longer profitable. All providers must rely on MSP-period patients, charging private insurance 5-20 times Medicare rate, to subsidize Medicare patients. In 2011, Medicare creates second “bundle” as EPO, IV iron and vitamin D and dialysis-specific labs are bundled into per treatment reimbursement of approximately $230. Largest dialysis providers are thriving (with economies of scale). Large dialysis-providers use billions in junk bonds to finance more acquisitions. The only high-margin/profit “products” remaining are MSP-period patient treatments (first 33 months of Medicare eligibility) and some acute in-hospital treatment contracts. EPO/Meds: Second Medicare bundle is instituted to control EPO, IV drugs and lab costs. No longer are sources of profits, IV drugs and most lab tests for Medicare patients now cost-centers to be controlled and limited. EPO and IV drug dosages decline significantly. Transfusions increase placing patients at higher risk of blood borne infections and jeopardizing potential transplants, making patients longer-term captives of dialysis providers. A well-constructed system of care that continually improves outcomes that are important to patients must balance corporate, government, medical, and patient concerns. The current system’s most obviously dysfunction is that the collective patient experiences have been lost and no effective patient advocacy system exists. The system has failed patients and continues to fail patients. At this time, this system of care best serves the interests of corporations and nephrologists at the risk to patients. The system must begin collecting patient experiences (good and bad), valuing patient input and feedback, as well as aid the development of effective, independent patient voices, both individual and collective. • Corporations – Two for-profit corporations, Fresenius Medical Care and DaVita, now dominate dialysis care with their sheer size, market share, financial power, political power, purchasing power, economies-of-scale, and clinical/medical influence. They capture as many dollars associated with dialysis patient care with dialysis facilities, pharmacies, large laboratory businesses (blood analyses), and acute dialysis hospital contracts. Fresenius is vertically integrated, manufacturing equipment, supplies, and pharmaceuticals as well as owning dialysis facilities. Both are growing internationally and Warren Buffet (Berkshire) recently invested in DaVita. Dialysis providers have two high profit margin services: MPS-period dialysis treatments and some acute, in-hospital dialysis treatments. The large profits earned on these services allow Fresenius and DaVita to exist as Fortune 500-level companies. Fresenius and DaVita currently have business strategies that now function to increase their market shares under the new “Medicare” bundle. They can operate at lower costs than independents and are purchasing competitors, increasing their power and influence. If they have the “acute dialysis” contract at the local hospital, they make more profit when patients are hospitalized, giving little incentive to improve care in their centers. They employ nephrologists as medical directors of dialysis clinics, creating a conflict of interest in terms of patient advocacy. Many top nephrologists also have financial ties and arrangements with them, including clinic ownership, research, consulting, and corporate stock ownership/options. Fresenius and DaVita not only employ most nephrologists and nephrology nurses, but also provide much of the funding for the physicians’ and nurses’ professional organizations and most patient organizations. Fresenius and DaVita have succeeded by cutting operating and supply costs and psychosocial services to a minimum. They have won the “race to the bottom” in terms of providing minimal patient support/convenience/education/training, yet still “technically” comply with federal/state regulations for rehabilitation on paper, and thus maximize profits. Patients are simply given packets of information. Although social workers and dietitians are required to provide care, their case loads are now often over 125 patients. Social workers spend nearly all their time on insurance and transportation issues and few have time to attempt any kind of patient employment/rehabilitation advocacy. These corporations spend heavily on lobbying, political influence, and campaign contributions. Fresenius and DaVita have no patient focus groups to improve care. The typical, new, in-center patient quickly discovers that that they are expected to conform to the existing system of care, regardless of their employment or life activities. The existing culture is one that routinely “infantilizes” patients, with little support or expectation of patient employment or rehabilitation. Considering this environment, behavioral scientists would likely find frequent displays of patient non-compliance not unexpected. DaVita emphasizes the experience of the employees, not the patients. • The next largest provider is DCI, a non-profit, which has had better outcomes (mortality and morbidity) since the United States Renal Data System (USRDS) began comparing the large dialysis organizations (LDOs) several years ago. No one asks why. This may be because DCI offers more psychosocial services and patient support than the for-profits. • Nephrologists, RPA, ASN – In general, nephrologists see dialysis care as managing medical problems, not as a part of a chronic illness that should be managed to provide the patients with the highest possible quality of life. Comprehensive, holistic approaches to patient care are almost unknown and are not presented at their professional conferences. Over the last four decades, the field of nephrology has shown little interest in patients’ health-related quality of life, employment, or rehabilitation. Nephrology, as a medical specialty, appears ill-suited for overseeing the quality of chronic disease patients’ lives. Nephrologists receive no training in patient employment or rehabilitation or home dialysis therapies. They see rehabilitation as the responsibility of the dialysis providers or other professionals. Forty years after the start of the federal ESRD program, there should be medical journals dedicated to CKD5 patient employment, rehabilitation, and health-related quality of life. There are none. Simply put, instead of asking “What’s the matter?” nephrologists need to ask “What matters to you?” For the 1980s and 1990s, nephrologists focused on how short dialysis treatment times could possibly be. In the 2000s to the present, they have been debating on whether patient mortality can be reduced by increasing dialysis frequency or treatment times. Nephrology has become stuck in an endless argument over what data, studies, statistics, and databases are correct. Nephrologists keep insisting on sufficiently-powered, randomized controlled trials with statistically significant results to change patient care policies. As medical scientists, they are unable to recommend the therapy to their patients that they would choose for themselves. Nephrologists would never accept the treatment regimen that over 90% of their patients receive. They know that in order to stay healthy, they would almost always have to dialyze at home in order to get the amount of therapy they felt they needed. Thousands of nephrologists are facility medical directors for corporations. Few independent voices remain. Numerous financial conflicts of interest exist. The system of care has become shaped to maximize the ease, convenience, and profits of the nephrologists and corporations. Many nephrologists see transplants as both rehabilitation and a “cure” for dialysis. Even if a nephrologist wanted to emphasize patient employment and rehabilitation for dialysis patients, the LDOs have no tools for them use. Nephrologists (Brent Miller Talk at ADC) have a financial disincentive to have home patients. According to Dr. Miller, he can see three times as many in-center patients as home patients for the same amount of money. To rise in power and influence within this system, up and coming nephrologists must “go along” to “get along”. AMGEN – In the 1990s-2010’s, received 20-30% of all federal reimbursement for dialysis care. Original 1989 patent extended through 2013. Amgen provided a “magic pill” for anemia correction. The term “quality of life” in dialysis care became attached to anemia correction for decades. Fatal/dangerous side effects of Amgen’s products and high dosages were denied for years. With its 90% margins, profits, hiring, grants, and sales incentives, few questioned Amgen’s motives and a slow, insidious corruption of many professionals in this medical field occurred. DaVita administered more IV drugs than other providers. DaVita justified this by saying nephrologists signed the orders. Often, nephrologists were medical directors and stockholders in DaVita. DaVita and Fresenius recently signed contracts with Amgen that effectively locks out other anemia drug makers of the ESA/EPO market, discouraging competition and patient choices. CMS – Policies are out-of-touch with patient needs. Receives little feedback and information from patients. Never collected patient experiences, positive or negative. Does not promote patient employment or rehabilitation. Existing “quality” programs (QIP) are ineffective. CMS has created an extremely convoluted reimbursement/quality improvement system that has nothing to do with patient life outcomes. ESRD Networks ineffective in improving care. CMS has spent millions of dollars implementing the CROWNWeb system to track enormous amounts of treatment and lab data that are entered by facility personnel and, although values are validated within a range of expected, there is no way to verify the accuracy of the data entered. With the potential to lose money under the current the QIP, there is an incentive for facilities to game the CROWNWeb system. It can be argued that far better patient outcomes could be achieved by simply tracking and publicizing patient employment data. Only 14% of current morbidity and mortality can be accounted for by assessing the CMS mandated clinical performance measures that dialysis facilities report (albumin, Ca, P, Kt/V, PTH, hemoglobin, etc). The system of care must instead address the issues that make the greatest difference in outcomes, not continue outmoded measurements that do not reflect quality of care (Boston 2009 conference). Congress – Receives a great deal of lobbying from the two largest corporations through many influences. Receives little valid feedback and information from patients. Congress has enacted legislation that directs CMS to set the wrong financial incentives for improving dialysis care. Congress should set financial incentives that improve outcomes important to patients and taxpayers. Congress has an extremely power tool to improve dialysis care, in that it can control the MSP period length and the conditions for which it applies. Kidney Care Partners – Lobbying group that, in theory, represents all stakeholders, but it controlled by corporate interests. It includes one seat for patient groups that rotates, so there is no continuity in the patient voice. Dues are charged to pay lobbyists and admission of nonprofits is intended to establish credibility of this organization with legislators. Individual patients – extremely vulnerable, lives are highly medicalized, often feel overwhelmed. Most are provided very limited psychosocial services. Patient who do want to remain employed and/or maintain a high quality of life quickly are often shocked to find that there is no system of care to advocate for them. These patients either quickly or eventually figure out that they must do it on their own. More often than not, most patients resign themselves to a much lower health-related quality of life. They accept their place in a system of care that “infantilizes” them and shows little interest in trying to improve the situation. Once patients stop working, it is nearly impossible to have them return to the workforce for a variety of reasons. Many feel they are unemployable if they require dialysis and their doctors and other dialysis staff do little to change this perception. Some patients will choose not to pursue any sort of rehabilitation. Renal rehabilitation requires a high degree of compliance with prescribed medical care and is not for everyone. Some patients will always choose the minimal treatment possible. In those cases, dialysis providers and caregivers must be non-judgmental, evaluate each patient’s reasons, and provide education to separate myth from fact about work expectations, benefits loss, and work incentive programs. Patient groups – Never developed a collective patient voice. Most are dependent on corporate funding. Some accept corporate money to develop and provide minimal psychosocial services for patients, something the providers should do themselves. In doing so, many patient groups have become de facto divisions of the major corporations. Some offer programs that funnel prospective patients to the corporations. American Association of Kidney Patients routinely gives awards to the medical directors of the largest for-profit corporations. Academic medical centers – Harvard and other leading academic centers have had nephrologists and medical staff with financial ties to Amgen, Fresenius Medical Care, and DaVita. Patient employment HAS NEVER BEEN A TARGET of treatment or care. • General, long-term belief that as technology improved, dialysis treatments could be done quickly and infrequently. Kt/V (and its derivative urea reduction ratio (URR)) – Medical measurement of dialysis treatment adequacy that became standard of care starting in the 1980s. Uses urea removal as a marker for dialysis adequacy. Focused only on two outcomes: hospitalization and death. Value is only a point-in-time result and is essentially meaningless. 1983 bundle (composite rate) not balanced with patient-centered outcomes. To hold down growing costs, Medicare decided to pay a fixed rate of $128/treatment… regardless of the patients’ employment status. Separate reimbursement for Medicare Part A and B for dialysis patients. Little incentive for dialysis providers (Part B) to provide preventative care and keep patients healthy and out of hospital (Part A). Today, if the dialysis provider (or physician group) also has the “acute dialysis” contract at the local hospital, the provider (or physician group) can make more money when the patient is hospitalized. Stagnant CMS reimbursement rates were offset with increased MSP charges to commercial insurance. Patients are only profitable for providers when their commercial insurance is paying. Since the MSP period is 30 months, there is a disincentive for long-term survival. Today, the ideal patient is one that either dies, transfers, gets a transplant, or is discharged shortly after their MSP period expires. No separate care goals for working-age patients. The medical field never has seen the importance of being gainfully employed in overall patient health, well-being, and survival. All patients have been treated as disabled and/or retired by Medicare. Financial disincentives for nephrologists to improve patient outcomes. Being on corporate payrolls, adding services means they reduce their own pay and corporate standing. No incentives to create better dialysis machines, equipment, services, and supplies that improve quality of patients’ lives. Replaced too many RNs with minimally educated and trained technical staff. Stopped feeding patients on dialysis. Many are malnourished. No common language for patient experiences. Very different definitions of patient-centered care, rehabilitation, and quality of life. No record of what made has working patients successful. Inspections / Enforcement of existing rehabilitation regulations ineffective and infrequent. Requires minimal compliance (simple chart notation) for patient rehabilitation. Inspections of dialysis providers are not frequent enough due to insufficient funding from Congress. Fastest growing segment of new patients are working age patients. Patient employment HAS NEVER BEEN A TARGET of treatment or care. Why isn’t patient-specific employment data tracked over time and published in any of these databases: USRDS, DOPPS, CMS, and Forum of ESRD Networks? Dialysis patients are provided far too limited psychosocial services for a major organ replacement therapy. Virtually no noteworthy programs exist. Very little or no professional expertise exists in dialysis patient employment and re/habilitation. Does not exist in two dominating corporations. Has minimal to no importance at national professional conferences of nephrologists and nurses. System fails to capture meaningful accounts of the patients’ experiences, as well as their feedback, ideas, and criticisms. CMS and patient organizations have completely failed to represent the collective patient experience of the last forty years. There is no debate or varied points of view about what is best for patients. Major corporations have no patient focus groups. CMS often gives patients very short notice to comment on complex issues, so only sophisticated corporate sources reply effectively. Patient groups are dominated and intimidated by corporate money, influence and power. Patient groups cannot exist without corporate funding. Total societal costs of debilitating hundreds of thousands of dialysis patients are unknown (disability payments, family assistance, food stamps, lost tax revenues, lost opportunity costs, increased hospitalizations). Economically unsustainable for the U.S. and state economies to keep increasing the number of non-working patients. Corporations can increase profits by providing minimal psychosocial services and allowing increasing patient disability and debilitation to occur. These additional unpublicized societal costs are simply passed on to taxpayers. No effort to reduce it. Companies now profit by creating disabled and debilitated (and non-complaining) dialysis patients. LDOs and CMS consider their products (quality indicators) to be biochemical markers and fistula placement rates, instead of patients that are well, employed and re/habilitated. Many nephrologists have been focused only on reducing mortality rates and dialysis complications and have not taken a wider approach in caring for these patients. They tend to see transplants as a cure. They have not addressed increased disability/debilitation and the greatly increased societal costs of dialysis. Minimal dialysis treatments regimen ignores common sense that longer and/or more frequent dialysis is better for patients. Nephrology care professionals are routinely asked at professional conferences if they would accept the treatment modality that over 90% of their patients receive. No hands go up and the question is often met with open laughter. 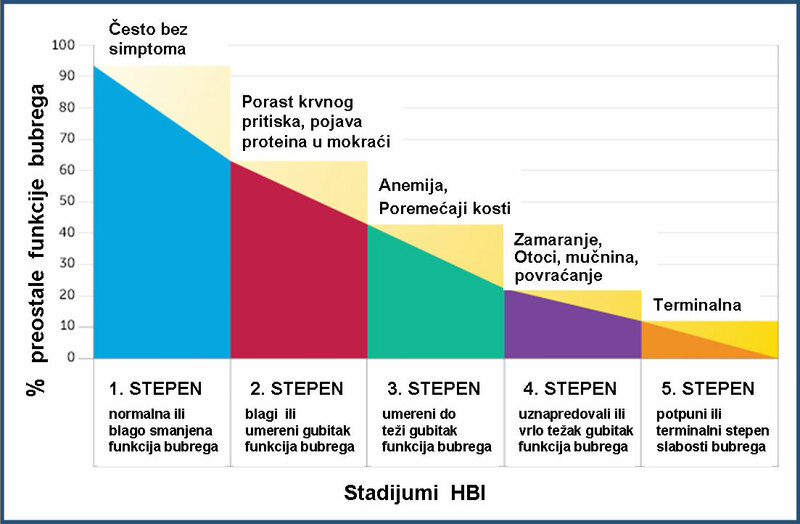 The entire field of medicine remains committed to a 3-times-a-week, short-time hemodialysis treatment regimen, despite the scientific studies on cardiovascular disease/water volume control. Medicare patients are no longer a source of needed profits for corporations. Providers must depend on two high-margin products: commercial insurance rates that are 5-20 times the Medicare rate during the first 30 months of Medicare eligibility (MSP period) and some acute, in-hospital dialysis treatment contracts for hospitalized patients. Financial disincentives of MSP and the separation of Part A and B. The highest profit margin services in the industry both work against long-term patient survival and well-being. EPO and injectable use dropping since implementation of “new bundle” and transfusions increasing placing patients at risk of infections and jeopardizing transplant status. Corporate goals, rather than patient goals, are lobbied to Congress via LDOs, Kidney Care Partners and the Kidney Care Council, as well as patient organizations that have been co-opted to believe the corporate message. Free market forces do not work. If patient is not a source of significant profit, they have little power. Patients have few, if any, practical choices and can be easily intimidated. No patient group has their back. CMS Networks, which are supposed to resolve disputes, are made up of peers of the nephrology professionals and are perceived by patients who have complained as taking the side of the facility. Technology has stagnated around the equipment used for in-center, 3x/week hemodialysis treatments, and the most cost-effective for large dialysis providers. There have been few advances seen in last twenty years. Why so little miniaturization? We built the wrong dialysis machines, the wrong dialysis facilities, the wrong healthcare corporations, have the wrong financial incentives, the wrong government policies, the wrong etc… all because we didn’t keep our eye on the “ball” or “prize” of employment. Due to their corporate size and the fact that they are publically traded, Fresenius and DaVita must remain significantly profitable and operate as efficiently as possible. They are unlikely to invest in new technology that does not offer high-margin (profit) products. Few financial incentives exist to change. New bundle is driving out all but a few corporations, which increases their financial and political power. Very little choice and few options for patients, which is even more dangerous if facilities choose to black-ball a patient. Fresenius Medical Care is vertically integrated (producing its own machines, supplies, and drugs), which discourages outside entrepreneurs, competition, and new technology. Industry is too inbred. Numerous financial conflicts of interest exist for nephrologists, nurses, patient groups. Often one/same person represents different/conflicting perspectives to Congress. • A new, well-patient model of care is established as the norm. • Patient input and feedback are integral, essential components of the dialysis care system. • Any employed patient entering this system of care is educated, empowered, and incentivized to remain working. Greatly increased employment rates. • New markers for excellence in dialysis care established for all age groups and comorbidities. • 30-40% of population on home or self-care dialysis. • Dramatically improved survival rates and dialysis technology FOR ALL. • Agree on an overarching philosophical statement on employment/rehabilitation that will change the activities and direction of all involved parties. • A coordinated, national-level agenda is necessary, involving a collective effort from CMS, Congress, providers, nephrologists, and patient groups to increase employment/rehab. With so many “players” and diverse agendas, only a unifying “target” set for all by Congress could improve patient employment and rehabilitation. • Congress needs to provide financial incentives to increase employment, technology development, and a diversity of approaches. The most obvious incentives are to extend the MSP period for employed patients and to provide tax breaks to mployers of dialysis patients. Consider other criteria for extending the MSP period. Establish a balanced, 4-quadrant patient-centered care model (patients, government, corporate, medical professionals). Redefine the function of the ESRD program as a renal rehabilitation program. Hold congressional hearings as soon as possible to set a new, corrective direction for the entire system of dialysis care. Expose the dysfunctional system, the parties involved, and the system’s problems o Begin by asking all involved parties why the original intent of the federal program, patient employment and re/habilitation, has been ignored. Ask why patient-specific employment data isn’t tracked over time and published in any of these databases: USRDS, DOPPS, CMS, and Forum of ESRD Networks? Hear testimony from the most frustrated patients and medical professionals, as well as the most successful patients. Have patients and professionals testify on the benefits of employment and re/habilitation. Dialysis patients and other collecting disability insurance income based upon being 100% disabled should be able to attempt to return to the workforce without the fear of losing their disability insurance income if their employment gets interrupted due to their disability. Provide incentives for dialysis facilities to offer treatment shifts starting after 5 pm. Require large dialysis providers to hire some dialysis patients. Have CMS begin measuring and publishing dialysis patient employment. Identify and publically acknowledge which facilities keep patients healthy and working over extended periods of time. Develop a bigger economic picture of renal replacement therapy. Establish all societal costs of failing to target employment and rehabilitation as part of major organ replacement therapy, including disability payments, food stamps, transportation, social services provided to families, as well as lost tax revenues and lost opportunity costs. Have analysis/reviews of the system of care by outsiders (industry is too in-bred). Require that ACOs must be focused on patient employment and rehabilitation. Have CMS develop the collective patient voice and accumulate patient experiences. Consider psychosocial issues as important as medical issues for long-term survival. Consider that it is time to develop a new medical specialty for a comprehensive, holistic approach to renal replacement therapy. It will specialize in a body of medical knowledge, coordinate multi-faceted care with personal priorities, keep patients at their highest level of functioning, and develop modern tools for effective patient education and motivation. Demand new quality markers for OVERALL quality dialysis care to be developed. Hold yearly hearings to determine progress on increasing patient employment. To clinic administrators and nephrologists: How much emphasis do you place on working-age patients remaining employed or returning to work by the policies and procedures you have established? With such a multi-factored therapy, don’t you have to target an increased patient employment rate to achieve it? To working-age patients: When you entered the dialysis care system, did it seem it was a priority of the healthcare team to keep you employed? Has anyone asked you what they could do to help you stay employed or get a job… or to make your life easier? To social workers: If you had a caseload of 100 patients or less and non-clinical tasks (admissions, forms, transportation, insurance, AKF HIPP, etc.) were performed by someone else, what could you do to help patients keep their jobs, find new jobs, and have improved health-related quality of life? Journalists should contact the local ESRD Network offices for patient employment data in their area. Which clinics keep patients employed over a period of several years? Why does DCI have lower morbidity/mortality? Ask patients if they have the level of quality of life they had hoped for when they started dialysis? Is this what they expected after 40 years of a federally-funded medical program? 1. As stated clearly at §1881 (II) (2) (H) of the Social Security Act, “It is the intent of the Congress that the maximum practical number of patients who are medically, socially, and psychologically suitable candidates for home dialysis or transplantation should be so treated and that the maximum practical number of patients who are suitable candidates for vocational rehabilitation services be given access to such services and encouraged to return to gainful employment”.